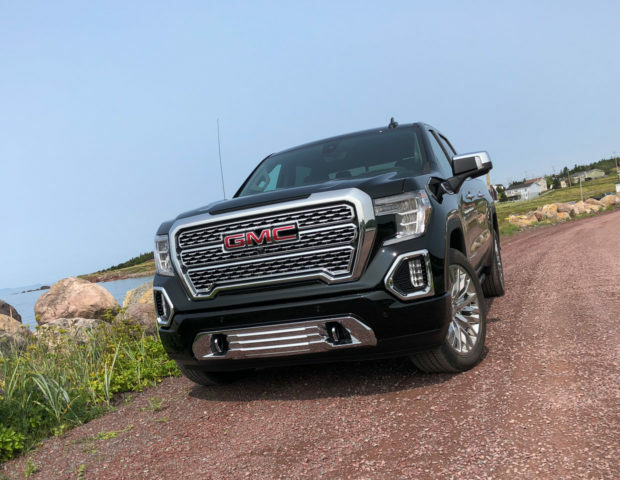 Over the last two decades, GMC has managed to go from being almost solely associated with industrial utility to being a true premium truck and SUV brand. 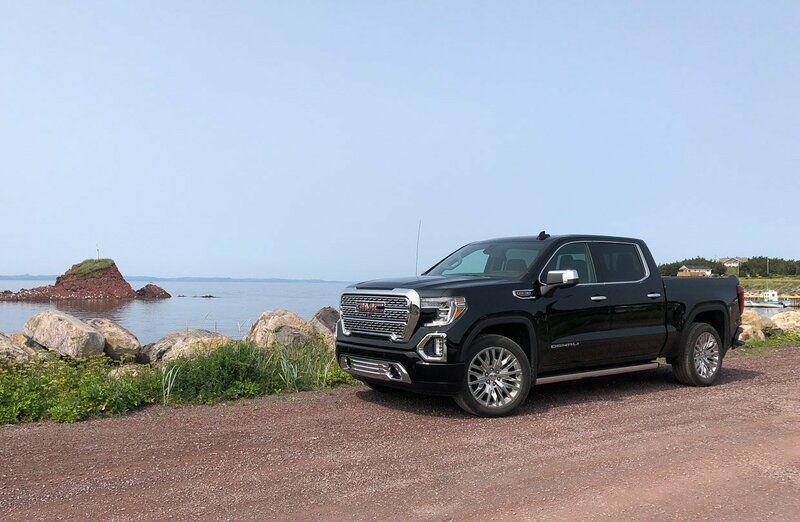 The combination of styling, functionality, technology, and quality all aim above the levels of their Chevrolet brethren, and typically have the price tag to match. In the case of the tricked out Sierra Denali I drove, you’re looking at a sticker North of $67,000 all-in. Yowza. Now, hot on the heels of our first drive of the 2019 Silverado, I had a chance to spend some quality time with GMC’s high-end trucks which share a platform and drivetrain with Chevy’s very good, but more ordinary full-size pickups. This time out though, the Sierra isn’t just a rebadged Chevy. Other than the roof, the sheet metal on the Sierra is completely unique. And I definitely prefer the Sierra’s more muscular and sophisticated looks to the more utilitarian Chevy. Given its mix of hardworking fishermen and mariners, relaxed tourism, and natural beauty, St. John’s Newfoundland was the perfect spot to spend a day behind the wheel of the new Sierra, since it shares a similar work/life/play balance. The majority of my drive was in the top-of-the-line Denali trim, but I also got a sneak peek at the more rugged, off-road friendly AT4 trim. 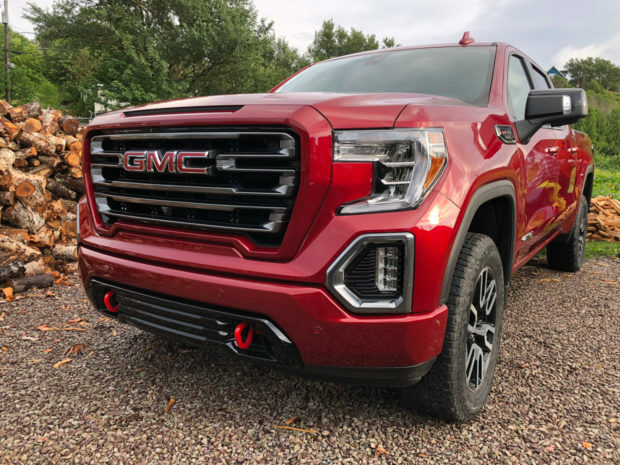 As has been the case with all of their recent truck and SUVs, GMC’s exterior design team has done a fantastic job balancing their “Professional Grade” image with one of sophistication. I personally prefer the faceted grille on the Sierra Denali, but there was definitely debate with some colleagues who preferred the more streamlined look of the AT4’s facade. Frankly, I don’t think either design will steer you wrong. 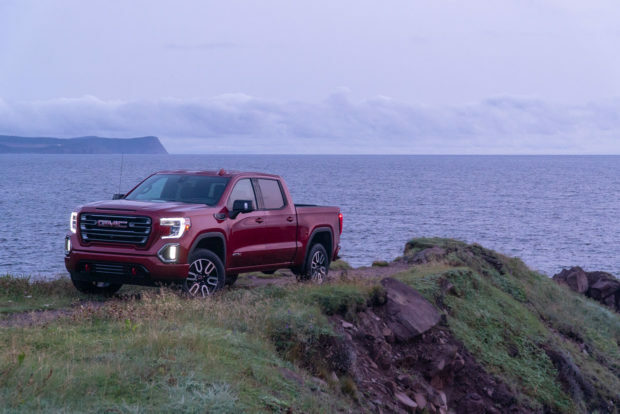 For the 2019 model year, buyers will get all manner of upgrades and new goodies with the Sierra, starting with a significant weight savings, resulting in fuel economy improvements and overall better driving dynamics. 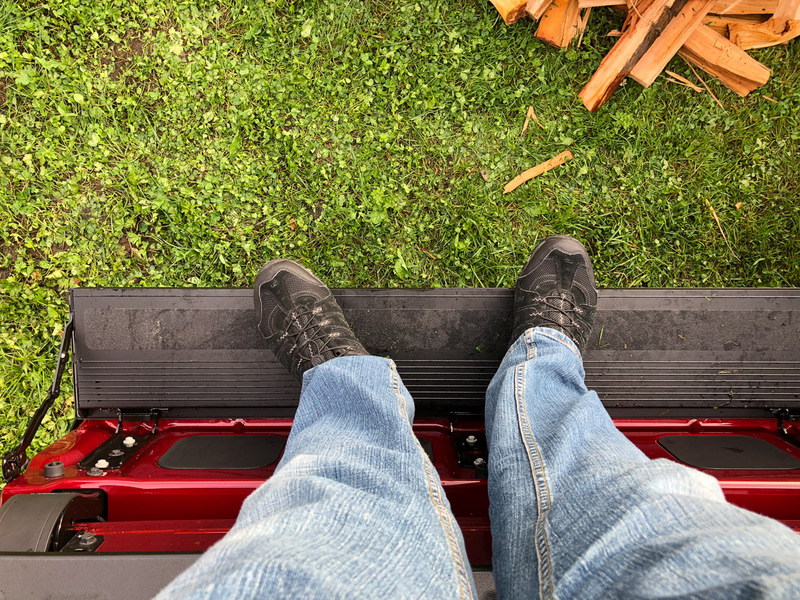 The judicious use of aluminum for doors, the tailgate, and hood, along with smart use of high strength steel in its bed, frame, and other components means the truck is some 350 pounds lighter than before, but is just as durable as ever. 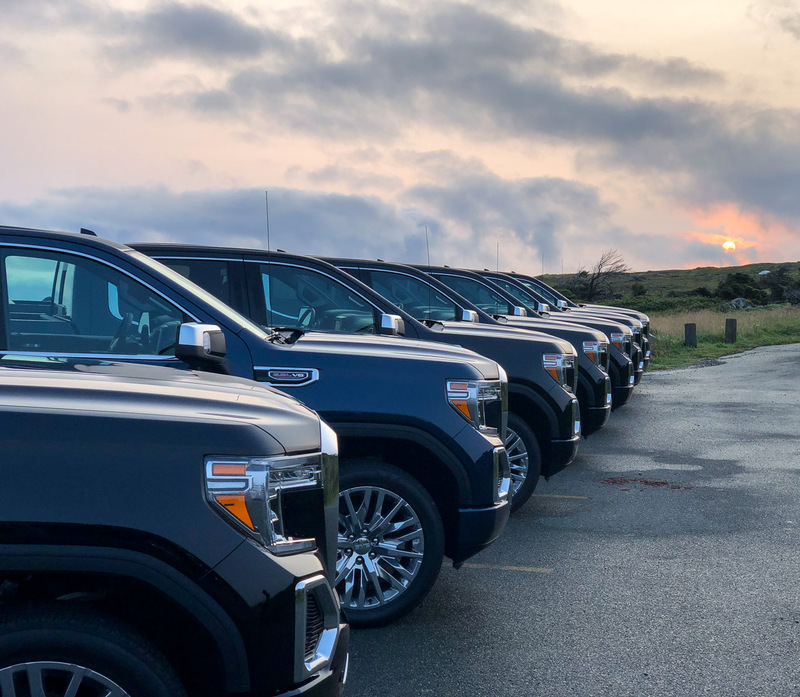 There are five powertrains headed to the Sierra line, but the Denali and AT4 reviewed here only will offer the 5.3-liter V8, a robust 6.2-liter V8, and an upcoming 3.0-liter turbo diesel V6. 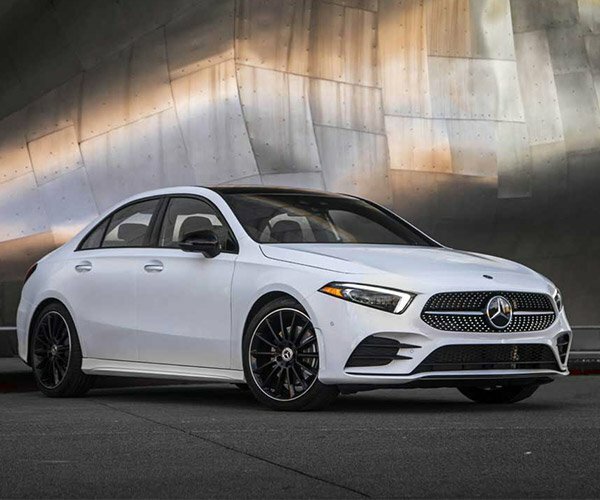 The 5.3 makes 355 hp and 383 lb-ft. of torque, and has an 8-speed automatic, the 6.2 produces makes 420 horses and 460 lb-ft. torque, and has a 10-speed. One of the Sierra’s latest and greatest abilities is its engine’s advanced fuel management system which dynamically switches between 17 different firing patterns – from 2 to 8 cylinders depending on demand. This tech is pretty amazing, as it’s completely seamless and unnoticeable while driving. I only managed time with the larger engine, so all of my impressions are based on the most powerful drivetrain. I found the combo of the 6.2 and 10-speed to be fantastic overall – offering up massive amounts of torque, and buttery smooth shifts, whether accelerating on the highway or towing a trailer packed with ATVs. Trailering is definitely one of the Sierra’s leading capabilities. The 6.2-liter Denali 4WD will pull up to 9,300 pounds, and it does it with aplomb. Not only is the drivetrain more than up to the task, but the tech that can be had is quite impressive as well. The truck can be equipped with an array of cameras to provide a full surround view, as well as a hitch-eye view and an overhead view with hitch alignment guidelines. 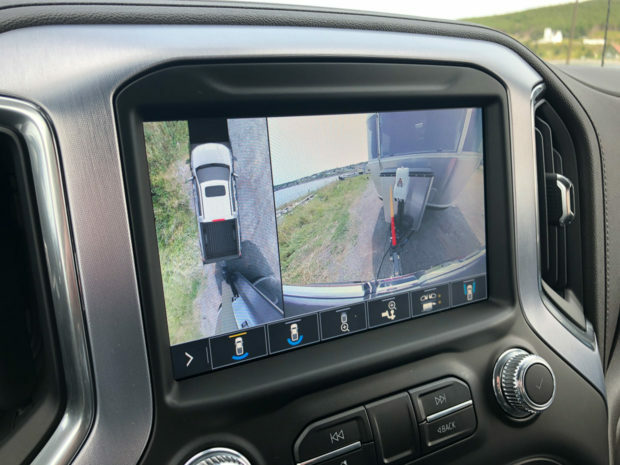 You can even order an optional camera that can be placed on the back of your trailer so you have visibility behind the trailer itself – though its use requires that the front camera be temporarily disabled for some reason. 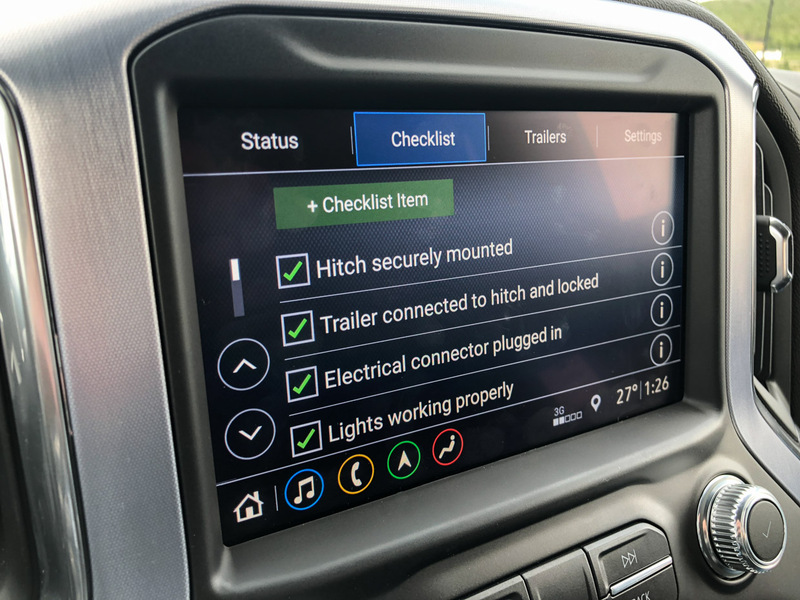 The Sierra’s ProGrade trailering app – which runs on the truck’s touchscreen and as a companion app on your smartphone – can provide you with a step-by-step checklist of the tasks needed to successfully connect and safely drive with a trailer. You can save presets for multiple payloads as well, and it can even provide troubleshooting guidance for things like your trailer’s brake lights not working. You can also stand outside the trailer and verify all off your lights remotely using the smartphone app. There’s also an available rear camera and LCD mirror combo, which grabs images from the top rear of the cab and displays them on the rearview mirror. 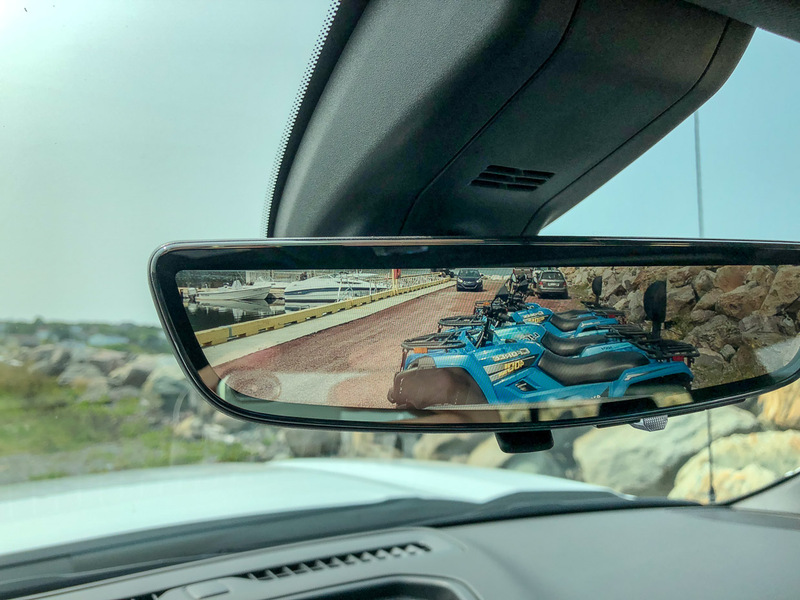 This is more than just for sizzle, as it actually improves visibility, seeing over large loads in the bed, around rear seat passengers, and with a much wider (and adjustable) field of view than a traditional mirror. It takes a few moments to get your brain used to it, but once you do, it’s hard to go back to the regular mirror. Though if you so choose, it can be disabled with a flick of the mirror toggle switch. The Sierra has a showstopper trick up its sleeves too – and that’s its much talked-about “MultiGate” tailgate. 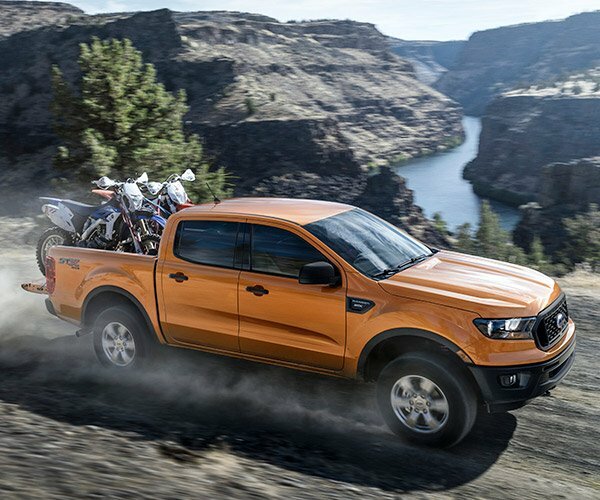 This versatile and innovative new tailgate really is deserving of its early buzz. It offers six different operating positions, allowing for easier loading and unloading of cargo at different heights, better access to the cargo bed, the ability to be used as an impromptu workbench, as a backstop for long items, and more. With the secondary gate folded down it provides comfortable seating for tailgating, and doubles as a step with a 375 pound load capacity. Plus, a handrail pops out of the side of the bed for added stability. There’s a whole lot to like about the Sierra’s box too. 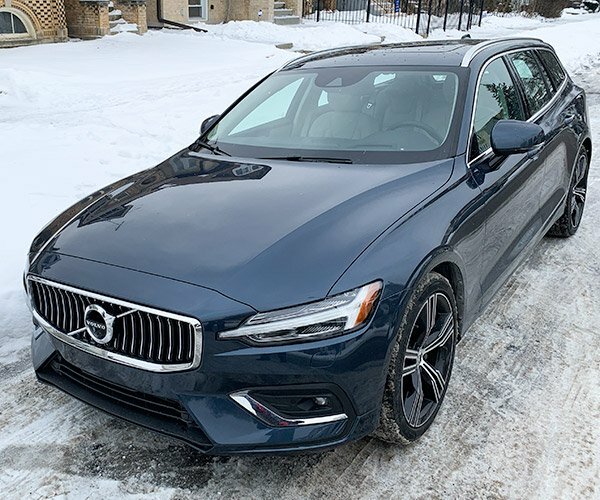 Thanks to some really sharp engineering and design, it’s 7″ wider than the outgoing version, and the 5’8″ short box provides an impressive 62.9 cubic feet of cargo space. In comparison, the F-150’s short box only holds 52.8 cubic feet of cargo. In fact, the Sierra’s short box has more cargo space than the F-150’s standard box. 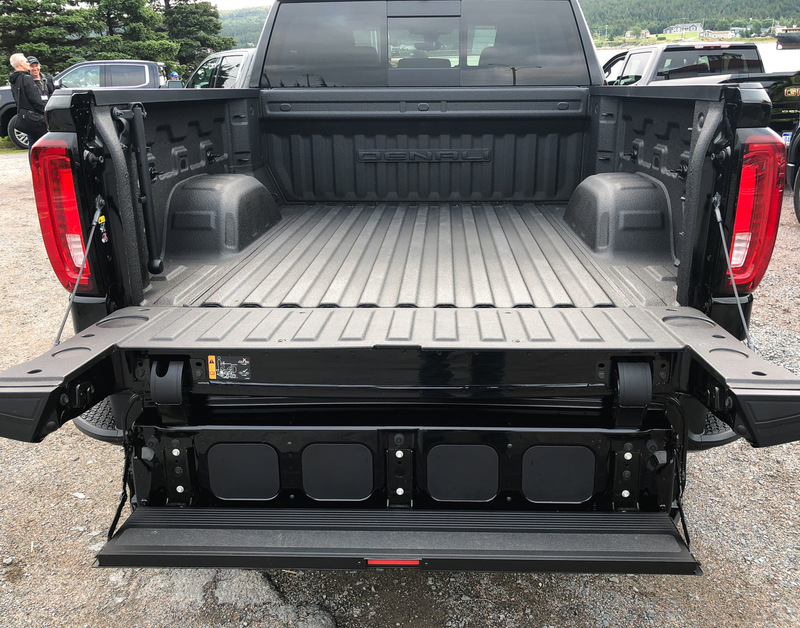 Indentations in the sides of the box allow for the use of wood or optional bars to create a secondary deck level, which aligns perfectly with the height of the backstop of the secondary tailgate, making it perfect for securely carrying longer or oddly-shaped goods. There’s also available bed lighting, and a 110-volt outlet, among other accessories. 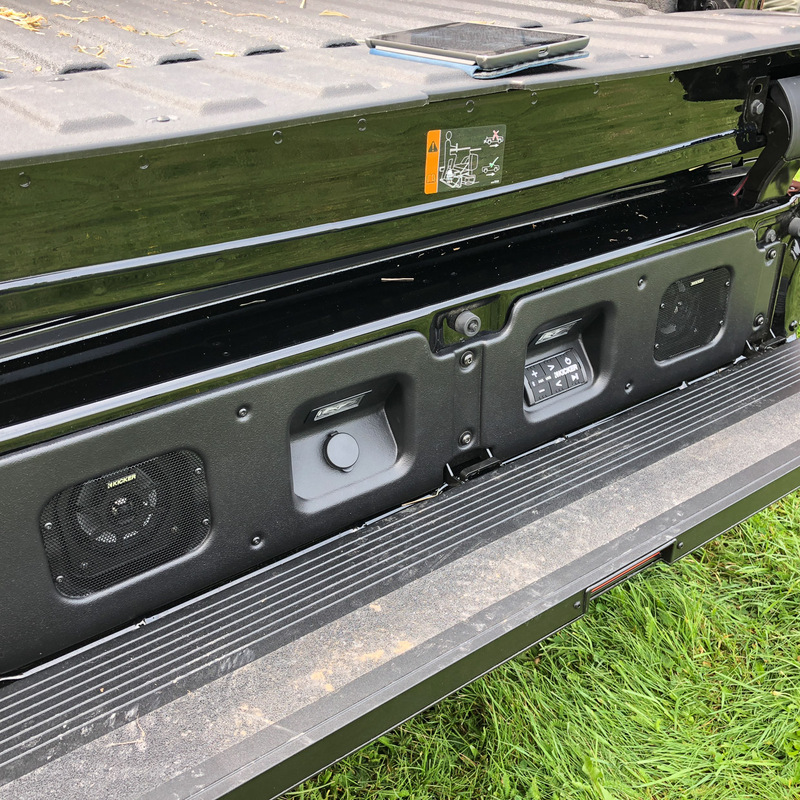 While the Sierra’s short box isn’t long enough to carry 4 x 8 sheet goods without leaving the tailgate fully open or angling them, the 6′-6″ standard box will hold for items up to 8′-1″ long with the MultiGate in its backstop positions. If that’s not enough, the MultiGate has another trick. The four cutouts on the inner part of the secondary gate can be optioned with either LED illumination or a Kicker Bluetooth sound system – another bonus for tailgating. 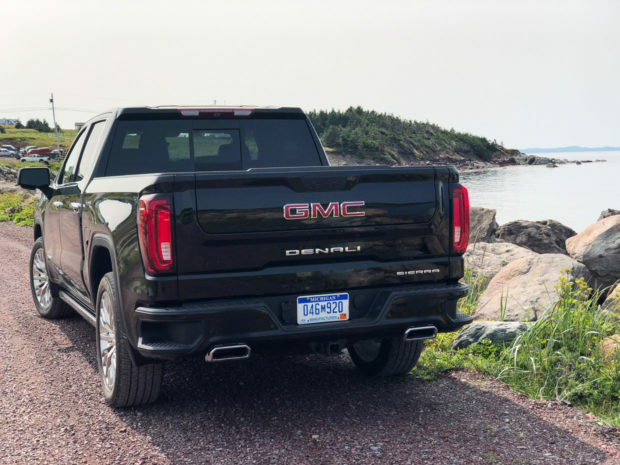 GMC also plans on offering a carbon fiber pickup box in 2019, which will reduce weight by 62 pounds, while offering equal or better durability to the steel boxes. I can only imagine this being a costly option, but again, it’s neat to see GMC living on the bleeding edge with its use of technology. Beyond all of its whiz-bang tech and capability, the new Sierra handles better too. The combination of independent coilovers up front, multistage leaf springs in back, and adaptive damping results in a ride that’s comfy, compliant, and controlled. 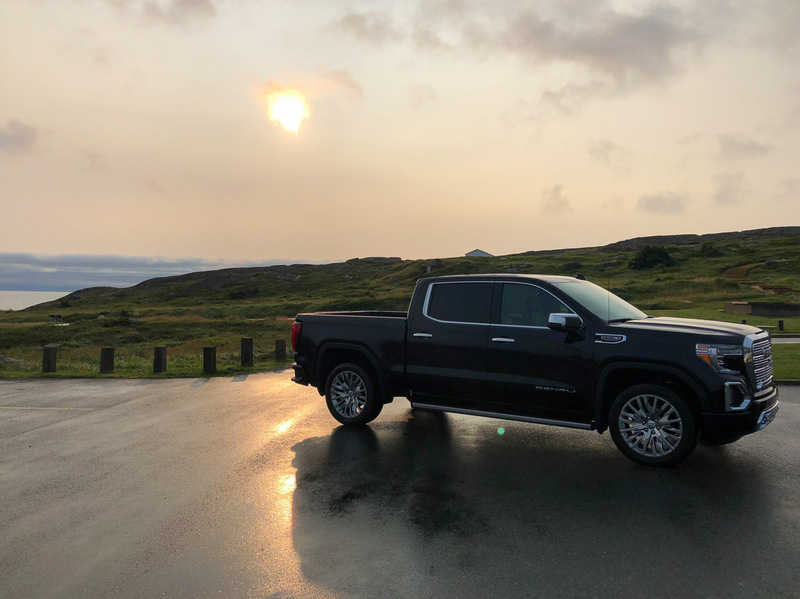 While most of the roads around Newfoundland were impeccably maintained, the occasional giant pothole did crop up, and was no match for the Sierra’s suspension. 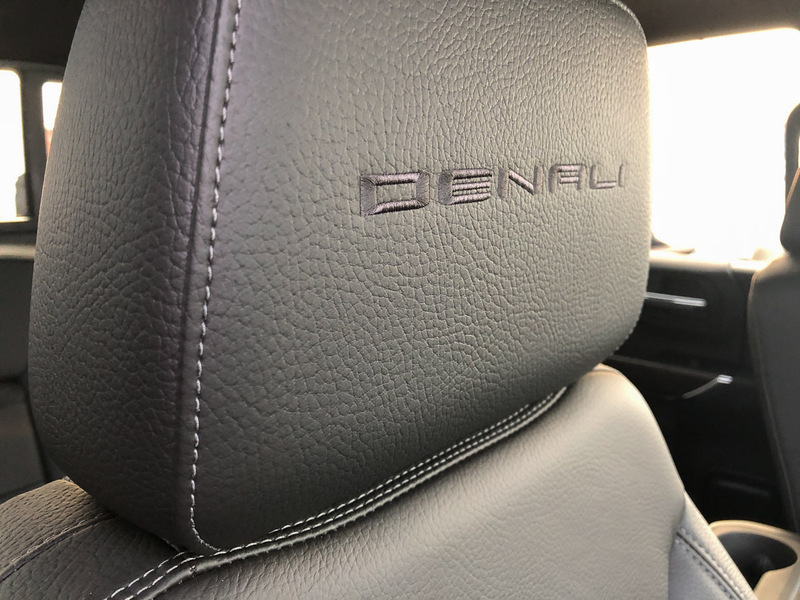 In addition to offering a very good ride for its size, the cabin of the Denali is as quiet and devoid of harshness and vibration as any luxury car out there. There are lots of other tech goodies this time too, like a large 3″ x 7″ color heads-up display with an off-road inclinometer, blind spot monitors, rear cross-traffic alert, front and rear park assist, rear seat safety alert, as well as support for Apple CarPlay and Android Auto. One feature that is oddly absent is adaptive cruise control, which is de rigueur these days, available even on inexpensive cars like the Toyota Corolla and Hyundai Elantra, so it’s kind of a shock not to even see it as an option here. And given the Sierra’s comfort as a long-haul road trip machine, its absence is a bit of a letdown. 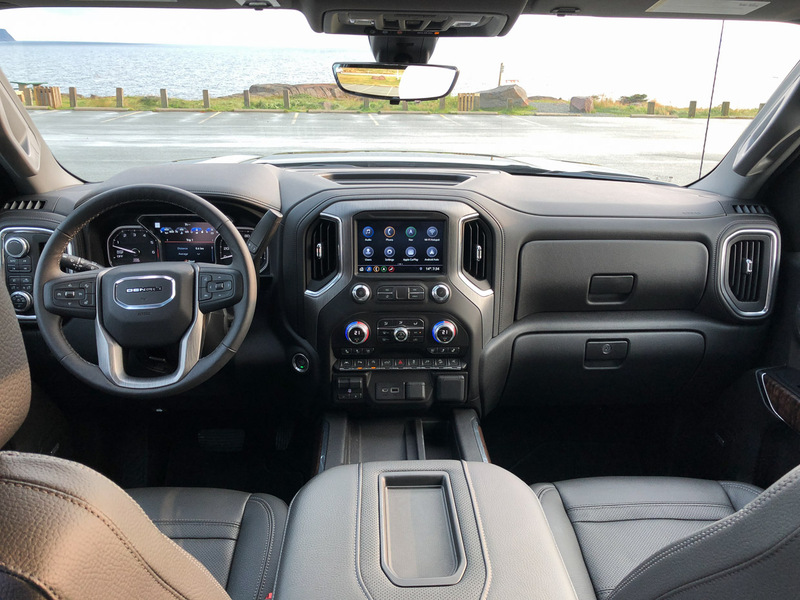 The interior of the Sierra Denali is smartly laid out and useful, with lots of cupholders, good spots for smartphones, and a cavernous center console storage box big enough for a laptop and file folders. However, it does lack in the panache and upscale materials you can find in competitor’s top of the line trims. 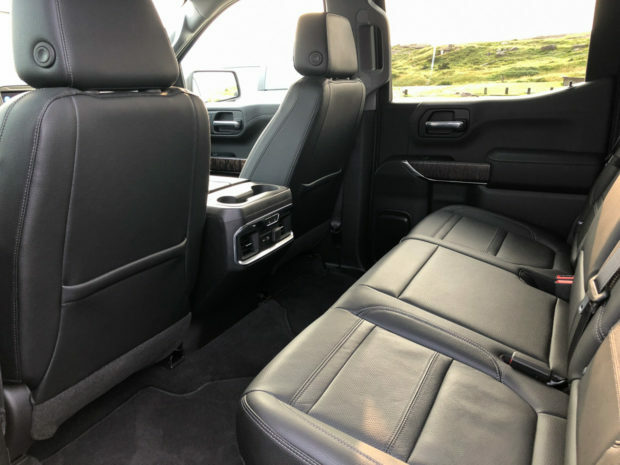 Just take one look at the interior of the similarly priced RAM Laramie Longhorn and you’ll see what I mean. 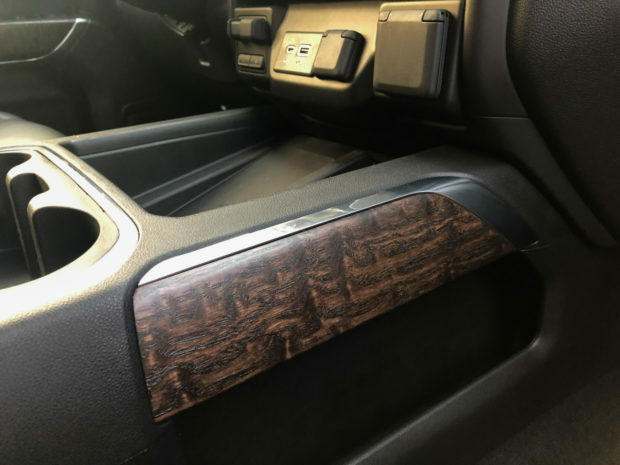 Sure, there are bits of real wood here and there, and the heated and ventilated leather seats are quite comfortable, but there’s too much plastic and inexpensive pebble texture “soft touch” material, the headliner feels cheap, as do the handholds. The lack of premium materials in the cabin is the only real dim spot on what is an otherwise stellar vehicle. 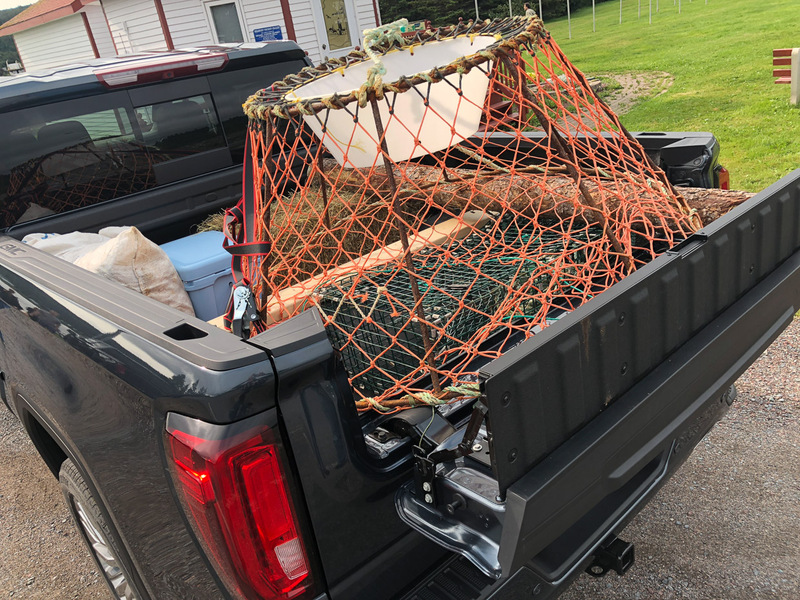 Rear seat passengers will be thrilled with the Crew Cab this time out. There’s 3″ more rear seat legroom than last time, and overall shoulder room and headroom is plentiful for three tall adults in back. I’d love to tell you more about how the new Sierra AT4 drives too, but in all honesty, I only got about 20 minutes behind the wheel, and those were on an “off-road” course that a Fiat 500 could have handled, so I’ll save my opinions of its off-road prowess for another day. What I can say is that the AT4 is rugged in appearance and spec, with a 2″ factory lift kit, standard 4WD, Rancho monotube shocks, 2-speed transfer case, locking rear diff, appropriately-sized 18″ off-road wheels, wrapped in nubby Goodyear Wrangler DuraTrac rubber, built in recovery hooks, and blacked-out materials taking the place of chrome. 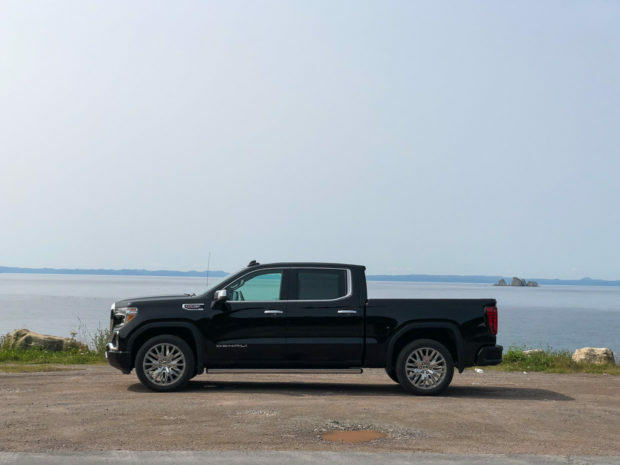 In my brief time behind the wheel, it didn’t feel much different from the Denali, but the added lift and skid plates are sure to make it more capable off the tarmac. Plus, based on impressions of the similarly-equipped Chevy Silverado Trail Boss, I have a good feeling that it’ll do more than fine in truly harsh terrain. That said, I’d be happy to take an AT4 out to Badlands off-road park if GMC wants to lend me one. Overall, the 2019 GMC Sierra Denali is a fantastic truck, offering a comfortable and confident ride, exceptional versatility and functionality, a great drivetrain, excellent exterior design, and a plethora of technological marvels. 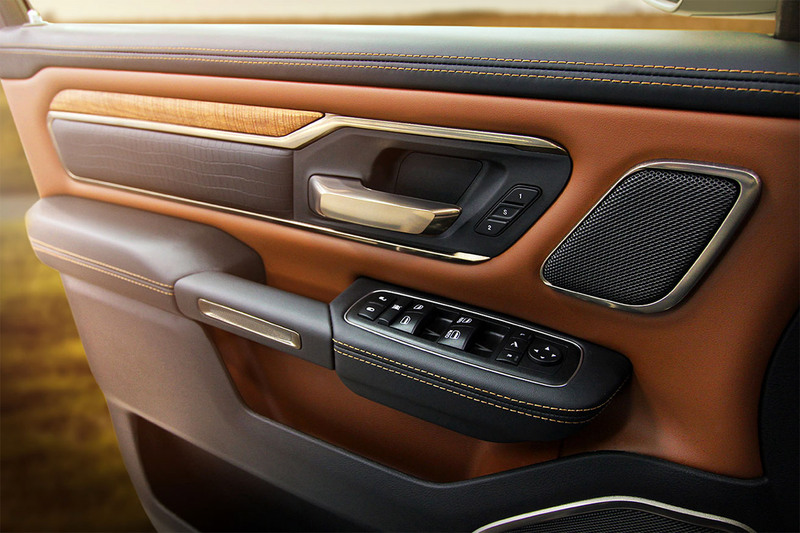 I’d love to see the interior materials better suit the price tag, and match up with the luxurious ride feel, but drivers won’t be disappointed with the overall experience of driving the new Sierra. 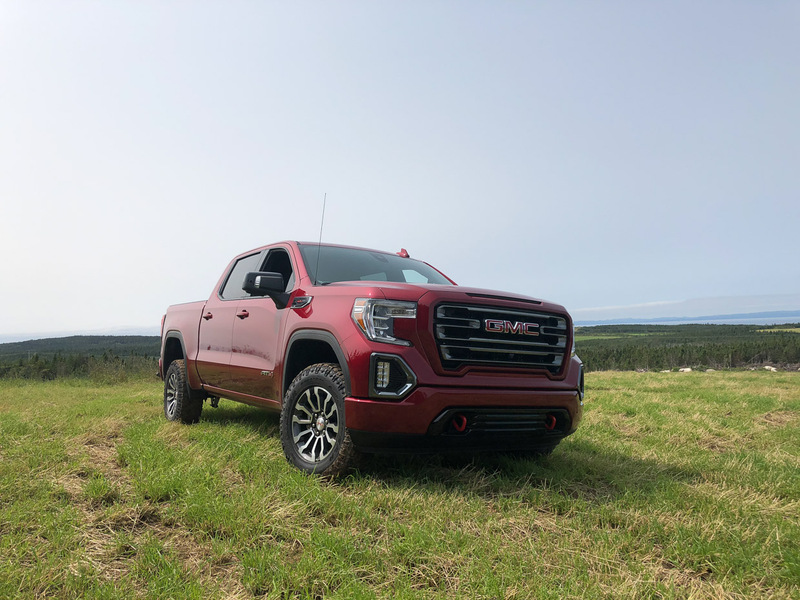 Beyond the high-end Denali and AT4 trim levels, GMC will also offer the Sierra in base, SLE, Elevation, and SLT trim levels, offering many of the same benefits in terms of weight reduction, drivetrains, and overall styling, so if you don’t have to have the fanciest model out there, you’ll have some less expensive options too. 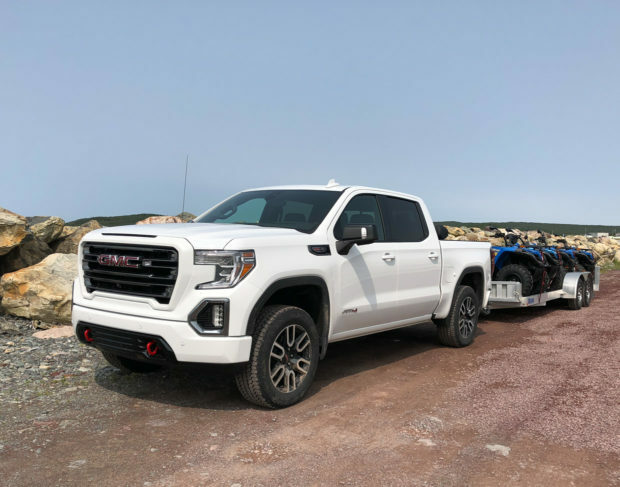 Expect the core of the 2019 Sierra line to start arriving in dealers any day now, while the AT4 should hit this fall.